We are the best in chimney service and repair so let us do the job for you. Whether it is residential or commercial, no job is too big or too small. Up to 25% of all home heating fires are caused by failure to properly clean chimneys. You can minimize the risk of fires started in your chimney with maintenance, including annual inspections, and mechanical sweeping by professionally trained chimney sweeps as frequently as needed. Over time the mortar that holds the bricks in your chimney will crack and should be repaired to keep the bricks in place. The bricks prevent excessive heat from starting a fire. 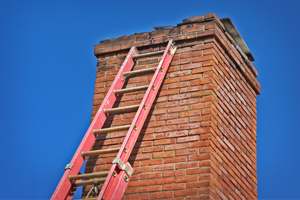 We can restore your deteriorating, unsafe chimney quickly and affordably. Family Owned and Operated • 100% Satisfaction Guaranteed!